October is usually reserved for the giant Frankfurt Bookfair in Germany, the largest trade show for books of all kinds with 300'000 visitors. This is the fifth time that I attended the show. 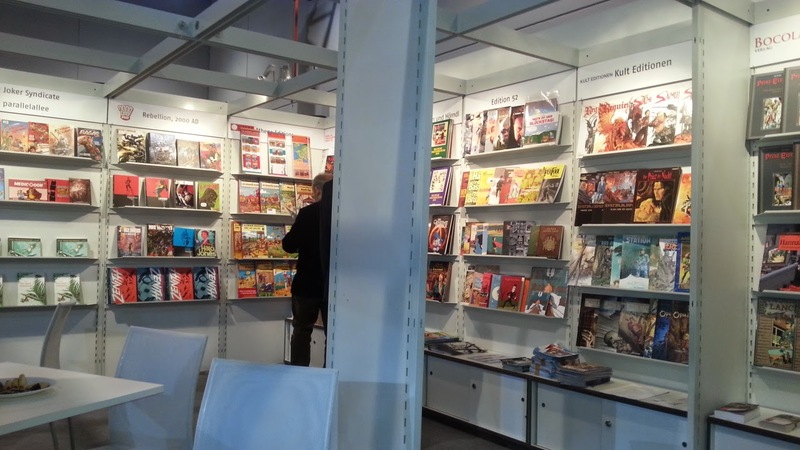 Since the Comic-Center has been shrinking to almost nothing we were only present at the Comic-Community booth with other publishers. This is a low cost alternative to renting a pricey booth but can still be quite effective. Additionally there were meetings with potential new partners, our distributors and then the public signing. 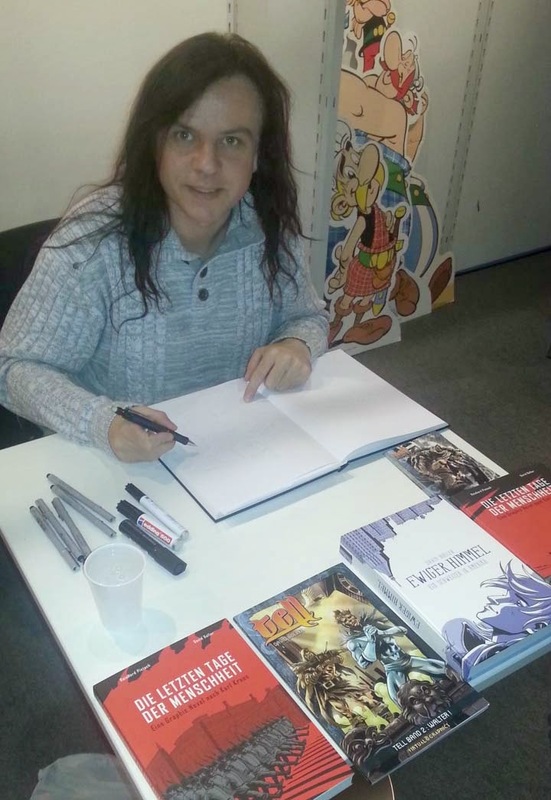 This time I signed in the designated signing area in the comic area in hall 3.0 as well at the booth of Herbert Utz Publishing in hall 3.1 to promote the release of "The last Days of Mankind". But work is waiting for me, so let's get busy.